If you haven’t heard the name Tomi Bjorck yet, you are about to hear it a lot more often now in Australia. Aged only 34, Tomi Bjorck has already built a successful career working in Michelin star restaurants in his home country Finland and abroad. He also starred as the head judge on Masterchef and Junior Masterchef Finland, published five cookbooks and his restaurant group, BW Restaurants, is the most successful in Finland. His love affair with Sydney dates back his time surfing in Bondi while working in Longrain and Quay. It was in Europe that Bjorck met Australian chef Samuel Cole and an immediate bond was formed. Originally hailing from Wollongong, Cole has worked in renowned kitchens across Europe including a stint in Heston Blumenthal’s two-Michelin star Dinner. 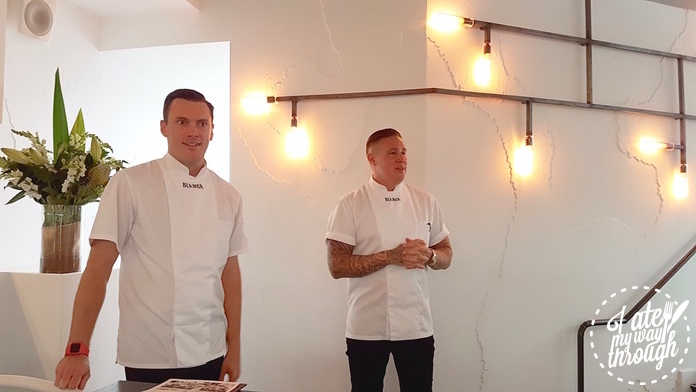 After Bjorck’s decision to relocate permanently to Sydney, it seemed an obvious decision for him and Cole to open their first venture together and Blanca Bar & Dining was born. And what a better location for their first Sydney restaurant than a stone’s throw away from Bondi Beach for the surf and sun loving chefs. Based on this back-story, it was with excitement that I Ate My Way Through settled into Blanca’s eighty-seater dining area. White textured walls contrast against dark furniture and waiting staff dressed all in black – this is a minimal, elegant yet totally unpretentious room. It’s quite evident that the menu has a strong Japanese influence. In the usual order of a tasting menu, we began with light and bite size snacks. 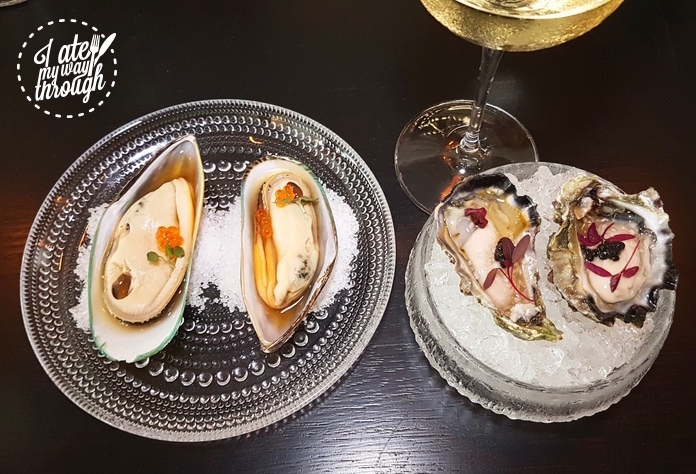 Both the Sydney Rock Oyster ($4.5/piece) and Green Shell Mussel ($4/piece) were served in shallow glass dishes which contrast the vibrant colour in the shellfish themselves. 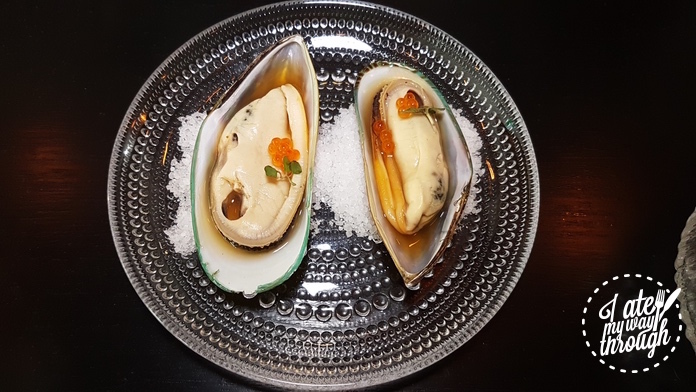 The oysters were dressed in a mandarin-Szechuan pepper mignonette and Green Shell Mussel in kombu soy, lemon jam, and garnished marinated trout roe. Visually we were immediately fascinated by the elegant and exquisite presentation of these two starters. A mignonette is a sauce typically made with shallots, pepper and vinegar and commonly served with raw oysters; in this case the flavour of Szechuan pepper was subtle without overpowering the citrus while the kombu soy and lemon jam were perfect match against each to bring the balance of saltiness and sweetness. It was absolutely delightful to start a meal with these chilled shellfish in such refreshingly citrusy dressings. Our only complaint was there weren’t more of them. As the taste of soy and lemon jam still lingered on our palate, we were presented a plate containing a sesame leaf, toped with a portion of Aged Raw Beef ($6/piece), Japanese picked radish, and wasabi mayo. Each plate contained two servings that were laid out symmetrically, bringing to mind an abstract painting. 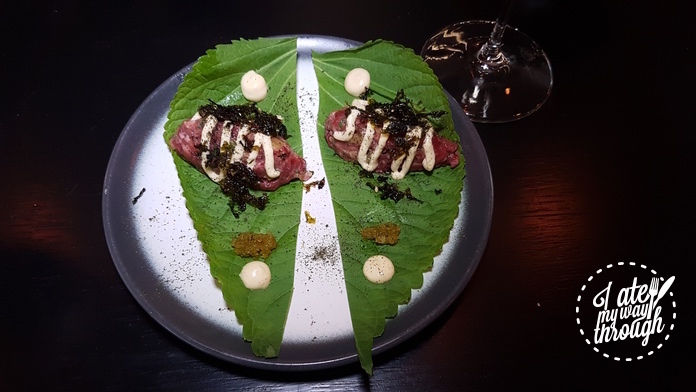 As we pondered what cutlery was best suited for this dish, our knowledgeable waiter suggested that the best way was to roll up the leaf with beef into a cigar shape. If this was a blind-folded taste test, I would struggle to guess that it was raw beef. This was mainly because the meat had been aged in order to break down the muscle tissue and achieve better texture and flavour. Unlike cured meat where salt and smoke are often used in the process, aged meat is still raw and natural. 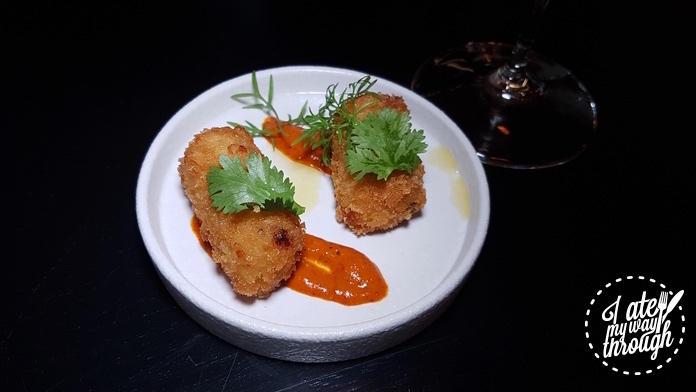 I wondered if Chef Tomi and Sam were acknowledging the fast approaching Chinese Lunar New Year when they devised the next dish – “Lap Cheung” (Chinese Sausage) Croquetas ($5/piece) served with manchego cream and harissa dressing. This sausage is typically dried and widely used in Chinese and South East Asian dishes such as Char Kway Teow or Yangzhou fried rice. The word “Pastrami” is usually associated with two things – Beef sandwiches and New York. So I was duly surprised when the Bonito Pastrami ($24) was actually a fish dish with the flesh sliced into roughly 1cm thickness and drizzled with yuzu cream and yuzu and soy dressing. The fish was visibly pink in the centre indicating its rawness of but lightly seared on the outside. 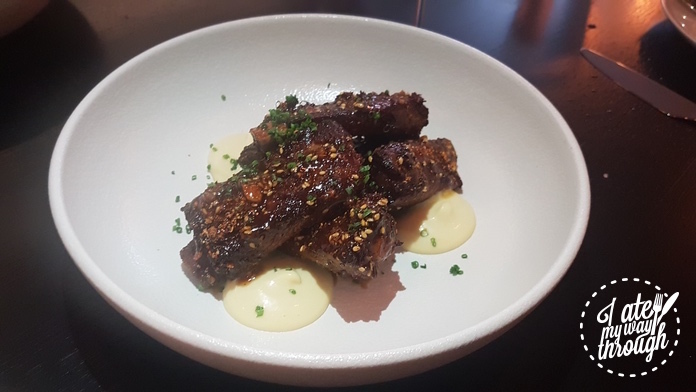 In common with the other dishes we had enjoyed so far, the Japanese yuzu and soy brought incredible flavour to the meat but was delicate and subtle enough not to steal the thunder of the main ingredients. 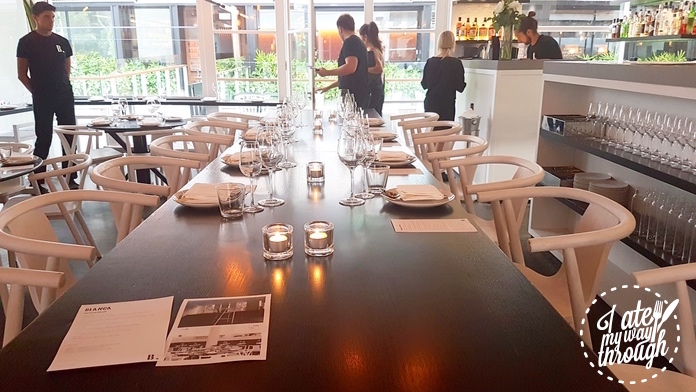 The black and white colour theme was not only visible throughout the restaurant interior and staff uniforms, it was also consistent with elegant serving plates used in most of the evening. It symbolises “Blanca”, a blank canvas as the restaurant name translates. 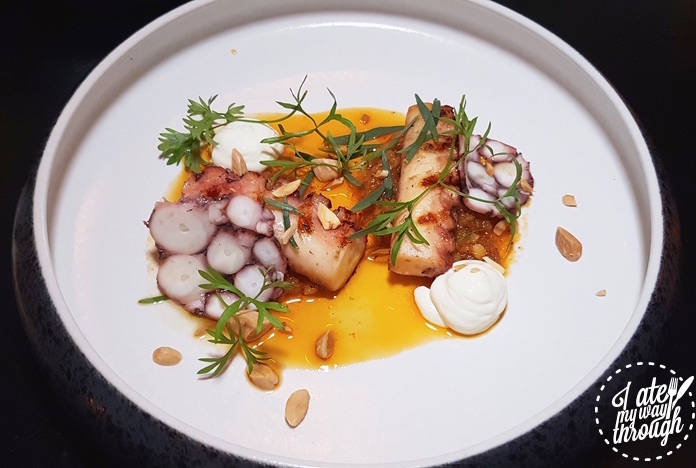 What the chefs had drawn on a blank canvas in the next course was Grilled Fremantle Octopus ($26) in yuzu brown butter, garlic confit, and thyme. This time the dressing had a much more orange colour and it instantly brought out the shaved and chopped giant octopus tentacles and thyme. Despite the thickness of the octopus, it was tender while maintaining its familiar chewy texture. The quality food kept on coming and it was hard to pick which was our favourite dish of the night. The contest heated up when two larger sized dishes arrived at the table. 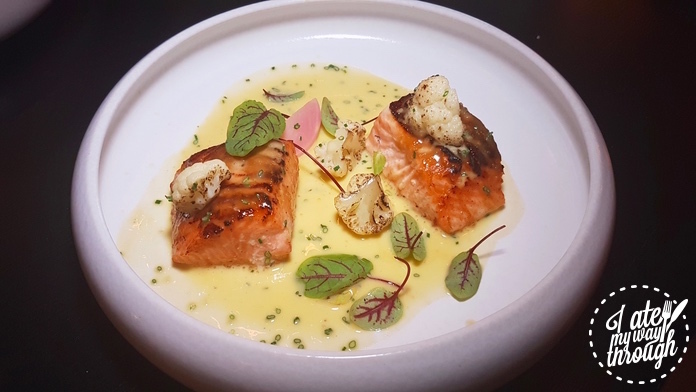 Saikyo Miso Salmon ($27) was marinaded in dashi and white miso, the two most fundamental seasonings in Japanese cuisine. Dashi is essentially made of dried seaweed (kelp), dried anchovies, and shaved tuna flakes (bonito). It is then used as a stock or broth for cooking many traditional Japanese dish such as udon noodles and miso soup. The natural saltiness from the sea in dashi means that dishes cooked in dashi stock are incredibly savoury and flavoursome without drying your palate. The salmon was followed by dark coloured Pork Ribs ($26) coated in a shiny glaze of miso caramel. The sticky glaze was mildly sweet while the miso taste penetrated the sweetness. It was accompanied with crispy potatoes ($14) with aioli and chili pickle sauce. We licked the glaze off the bone as well as our fingers – need we say more? It didn’t come as a total surprise that such a Japanese influenced menu would reach a finale with a Matcha dessert. 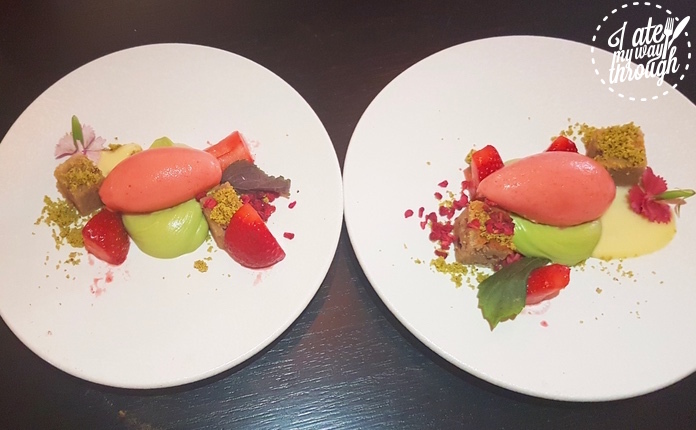 Again in contrast to the white plate, or should I say “blank canvas”, the colours of pink strawberry sorbet, green matcha mousse and brown almond cake ($14) blended into another visual masterpiece. The bitter mousse, the refreshing sorbet, and the sweet almond cake married together perfectly, each with an equal contribution to the overall flavour. 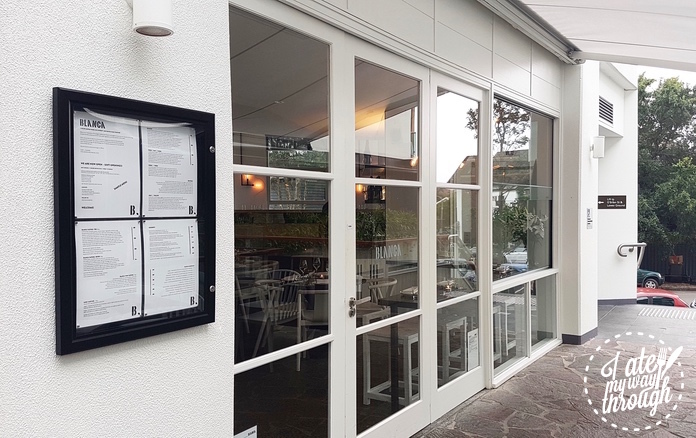 The menu is designed to set the mood with light snacks, raw and cured dishes before moving on to more substantial seafood, meat and poultry. If you cannot make up your mind which dishes to choose from, the seven-course ($69) or ten-course ($85) tasting menu will remove this the decision-making process. For a restaurant and culinary experience of this calibre, the price is exceptional. 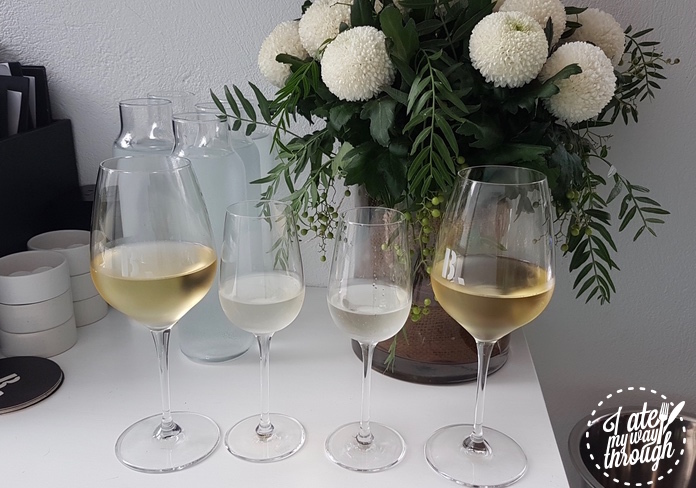 As you would expect when one of the chefs (Tomi Bjorck) owns a wine importer, the beverages were carefully selected to enhance the tasting experience. 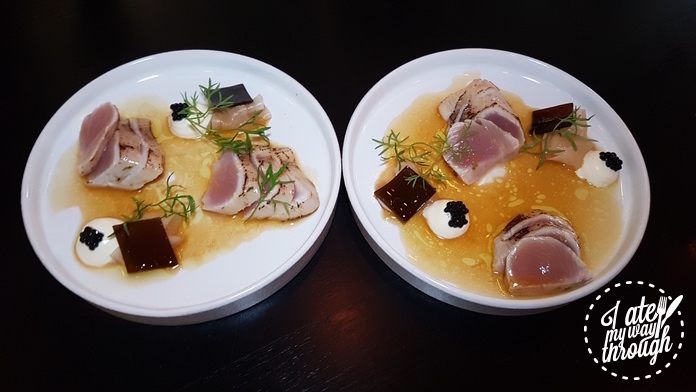 Hendricks Gin, Chiyo Shuzo Sake, Pazo San Mauro Albarino 2015, Barossa Valley Shiraz, Umeshu, and Yuzu Sake were matched to the lighter seafood and more substantial meat dishes. 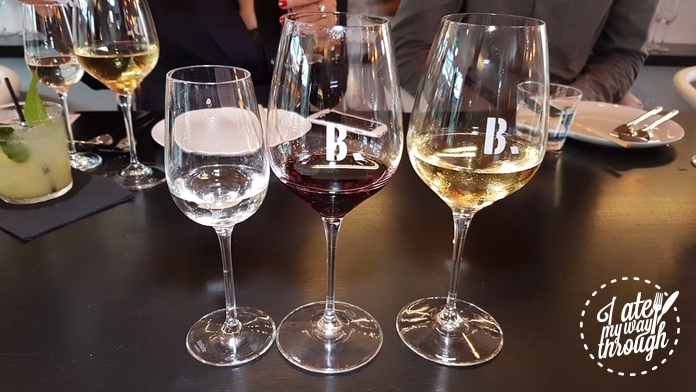 Bondi has been crying out for a fine dining experience for some time and Blanca Bar & Dining certainly serves to fill the gap. 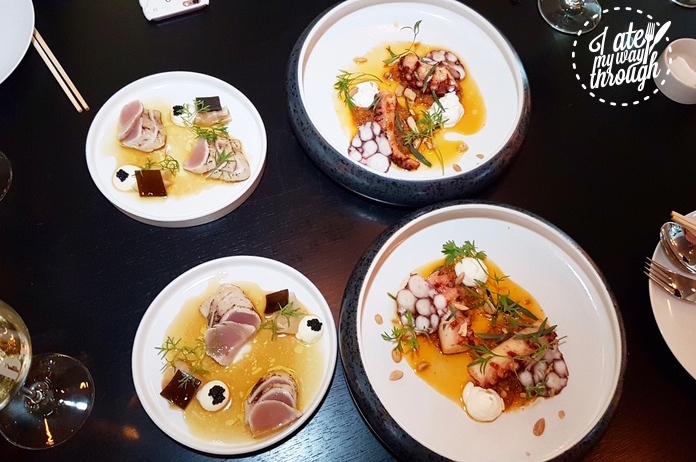 Sydney may not have the privilege of Michelin starred restaurants, but with chefs like Tomi Bjorck and Samuel Cole on the scene, Sydneysiders are certainly not missing out.